Universities are places of learning and discovery, and that drive for knowledge has produced countless breakthroughs. Numerous health research projects underway at the University of British Columbia’s Okanagan campus have the potential to lead to major advances that will benefit the public. 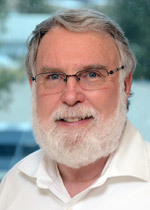 Gordon Binsted is the acting dean of the Faculty of Health and Social Development, which includes the Schools of Nursing, Social Work and Health and Exercise Sciences – all areas where research is being conducted with the goal of helping people live healthy lives. “Universities have a number of different roles when it comes to research,” says Binsted, adding the first role is the creation of new knowledge. Universities do not simply teach what others have learned, but actively seek new information which is then directly passed on to students, making their learning experience as current as possible. That application can be found in the community, which ultimately benefits from the discoveries made by university research. “Research is a lot of baby steps, but without those you will never have the big breakthrough. Our job is to keep taking those steps,” says Binsted, noting the next baby step could be the one to change the world, or it could add another piece to the puzzle. But neither would happen if that first step is not taken. 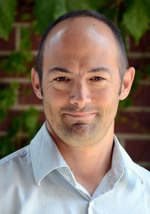 Paul van Donkelaar, associate professor and acting director of the School of Health and Exercise Sciences, is one of many professors and students actively involved in a variety of research projects. Paul van Donkelaar, associate professor and acting director of the School of Health and Exercise Sciences, says there is no shortage of areas that require academic investigation. Van Donkelaar, who took over as acting director in July 2011, says his school is actively researching transitions in health care for the elderly, how exercise impacts chronic obstructive pulmonary disease, how the brain functions in low oxygen situations, and a variety of other projects with potential to improve people’s health. “With a fairly quick turnaround, we can get the resulting information into the hands of people who are seeing patients,” says van Donkelaar, adding that a lot of the research investigates how to prevent disease in the first place. 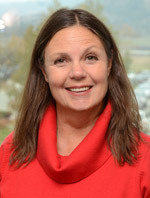 Also new to campus is Patricia Marck, who took over as the director of the School of Nursing last fall. Marck says she is excited about research partnerships with the BC Ministry of Health, Interior Health, and several Okanagan communities in community, rural and global health. There are new projects in Aboriginal and Metis health and in primary care, as well as continuing strategies to reduce tobacco use, provide effective end-of-life care for rural British Columbians and partnerships with institutions in Africa. School of Social Work director Edward Taylor says research has always been important within the School of Social Work, but it has increasingly become a major component -- and indeed an expectation -- of what the school does. Taylor says the School of Social Work is collaborating with the School of Nursing and psychology program to develop a mental-health centre at UBC's Okanagan campus. “There’s a partnership for developing a teaching, treatment and research clinic focused on mental disadvantages and major medical adjustment issues,” says Taylor, noting major research is also being developed in the area of immigrants, health disabilities, and child and family welfare.